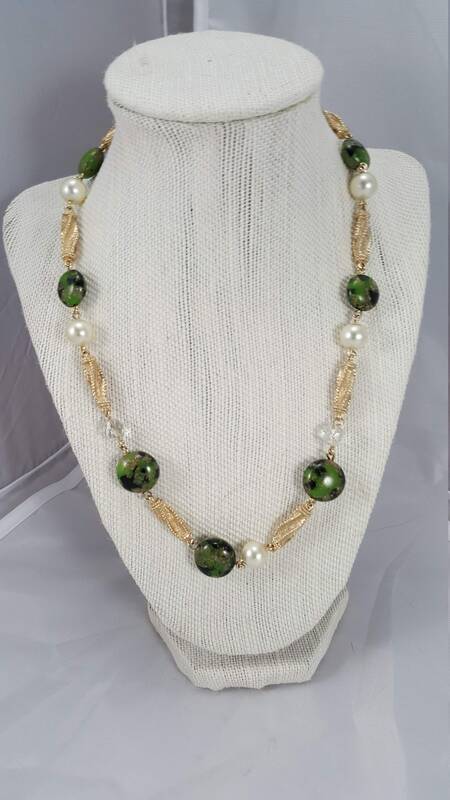 18 gold oblong bead necklace with white pearls and green marble gemstone with black and gold. 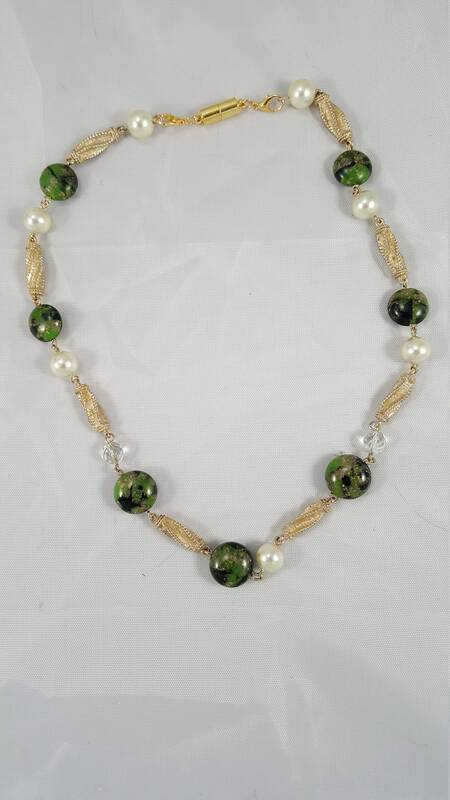 18" gold oblong bead necklace with white pearls and green marble gemstone with black and gold. 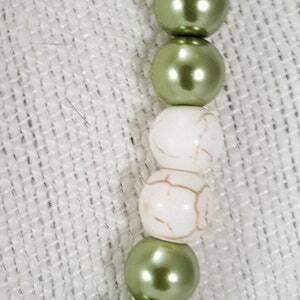 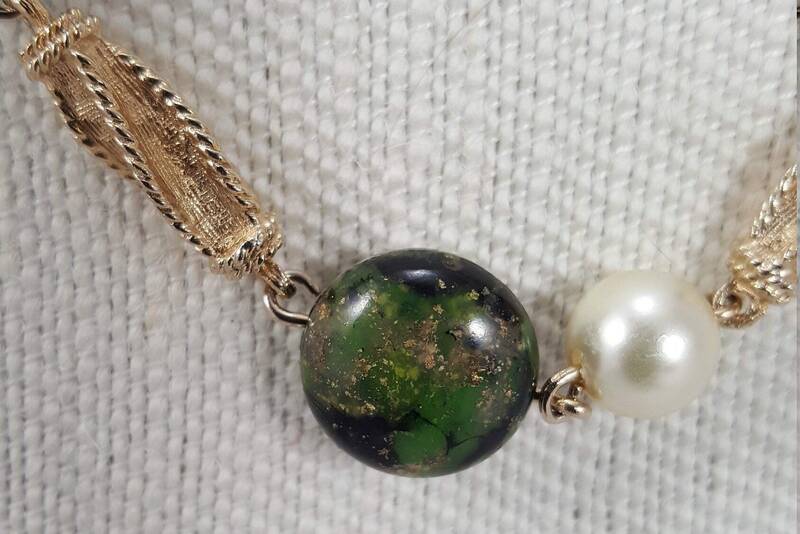 Large simulated pearls with simulated nephrite stone gems with a beautiful mixture of gold and black and green. 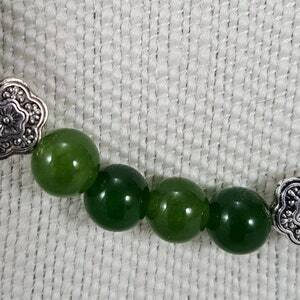 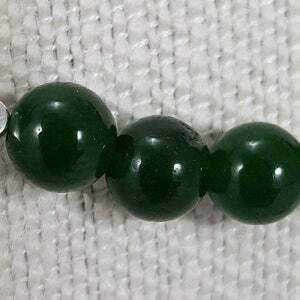 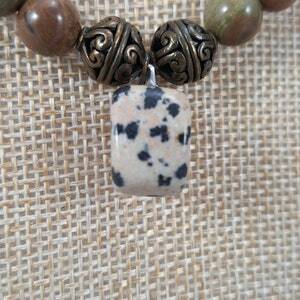 This a very elegant necklace for any occasion.